Comparing articles side-by-side. 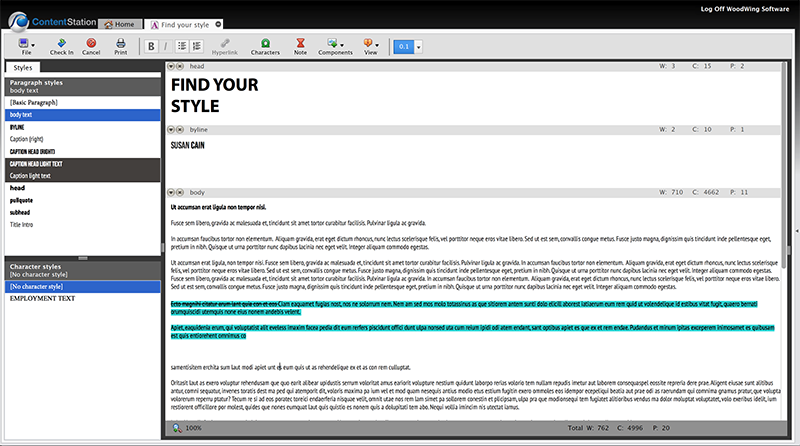 In this method, articles are displayed next to each other and any differences that exist are highlighted. The compared articles can either be two different articles or two different versions of the same article. For more information about using this method see Comparing InCopy articles with Content Station 9. 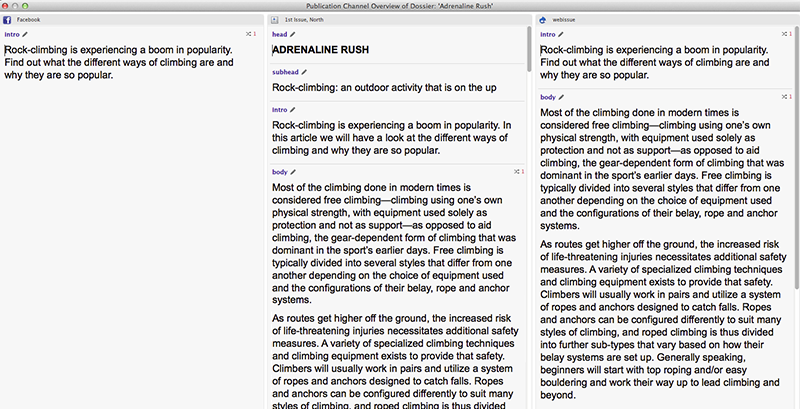 Comparing article versions inline. In this method, an article is opened and compared with another version of that same article. Any differences that are found as well as any changes that are made are displayed in a way that is similar to the way Adobe Track Changes are displayed (see below). However, Differences are technically different to Adobe Track Changes and are also more limited in use. 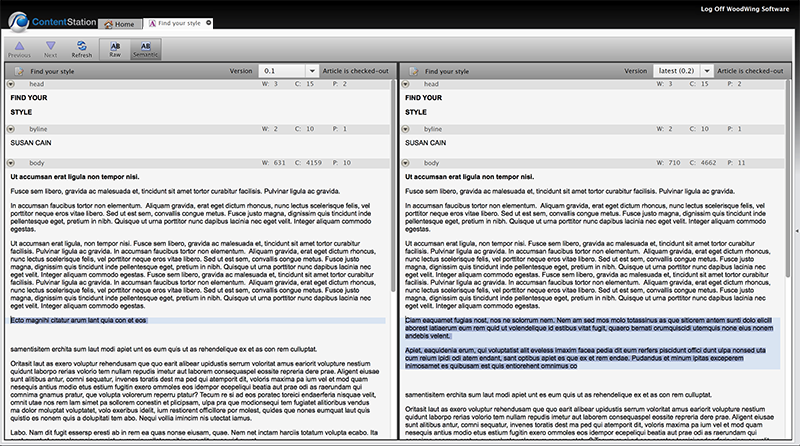 Because of the technical differences between the Inline Article Compare method and that of Adobe Track Changes, it is not possible to use both features simultaneously in Content Station (meaning: when the inline compare method is enabled, the Adobe Track Changes method is disabled; when the inline compare method is automatically disabled, the Adobe Track Changes method is enabled). For more information about using this method see Comparing InCopy article versions inline in Content Station 9. Comparing articles using Adobe Track Changes. In this method, any changes that are made within the article are stored in the article and displayed as Tracked Changes. This method is visually identical to comparing articles using the "inline" method (see above) but works technically different. Both methods can therefore not be used simultaneously in Content Station (meaning: when using the Adobe Track Changes method, the inline compare method needs to be disabled). For more information about using this method, see Comparing InCopy articles using Adobe Track Changes in Content Station 9. Comparing an article between Publication Channels. In this method, the way an article is published to multiple Publication Channels is shown. For more information about using this method, see Comparing a story between Publication Channels using the Publication Channel Overview in Content Station 9.